Medical Media Images Blog: New Chiropractic Color MRI Image showing the Relationship between the Spine and our Organs!! New Chiropractic Color MRI Image showing the Relationship between the Spine and our Organs!! Medical Media Images is proud to offer a new line of Products: Advanced Chiropractic Images. This series of Color MRI images provide visual explanations Chiropractic Principles. The above Image is a Whole Body Color MRI. All Vertebrae are labeled. 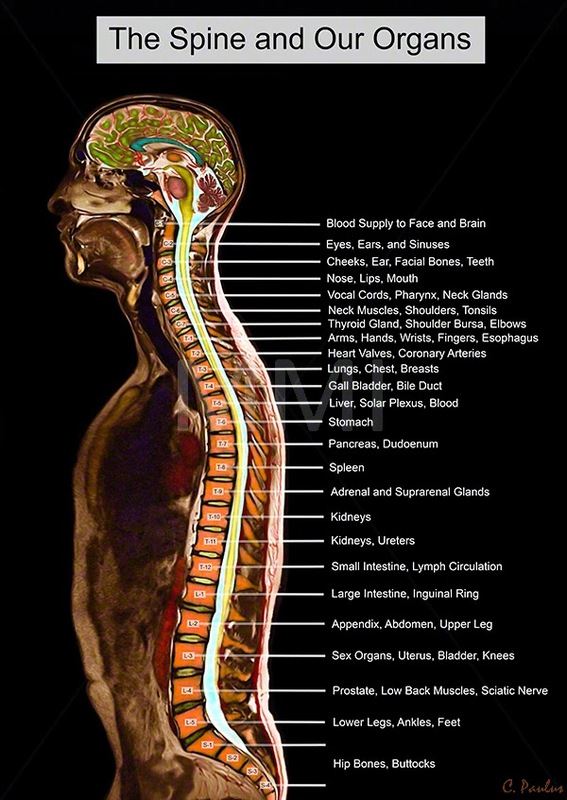 Each Spinal Level is assigned a relationship to an organ. This Image is ideal for Chiropractic Websites, Publications, Prints and Office Posters!